You are here: Home › Edublogger › The Grandaddy of Trig Identities! ← #Oklaed – This One is for You!! The Grandaddy of Trig Identities! The challenged was issued by the most brilliant of educators: BlueCereal – a genius among us smart folks! He suggested a post about our favorite content – challenge accepted Mr. Cereal! I taught high school math for over 18 years before embarking on my current journey as a full time Ph.D student at Oklahoma State University. During that time I taught almost every math course offered in high school: Geometry, Applied Geometry, Applied Math II and III, Advanced Algebra Trig, PreAP Precalculus, Calculus, Math Concepts, Algebra II, PreAP Algebra II, Algebra I, PreAP Algebra I, Algebra I-First Half, Algebra II Support…You get the picture – lots of math. However, my most favorite lesson to teach, and its not even close, is the pythagorean trigonometric identities. These things have fascinated me since Lu Ireton introduced them to me in her Math Analysis class my junior year of high school. She is the teacher who propelled me to where I am today! THANK YOU Mrs. Ireton!! You ready for a quick lesson? Let us first revisit the pythagorean theorem from Geometry. When you have a right triangle (angle triangle with a 90 degree angle), then you can use the lengths of the legs to determine the length of the hypotenuse. We will use this basic Geometry to help us with the more complicated trigonometric parts. Since a, b, and c are all variables, we can use any letter (or thing) to represent them. 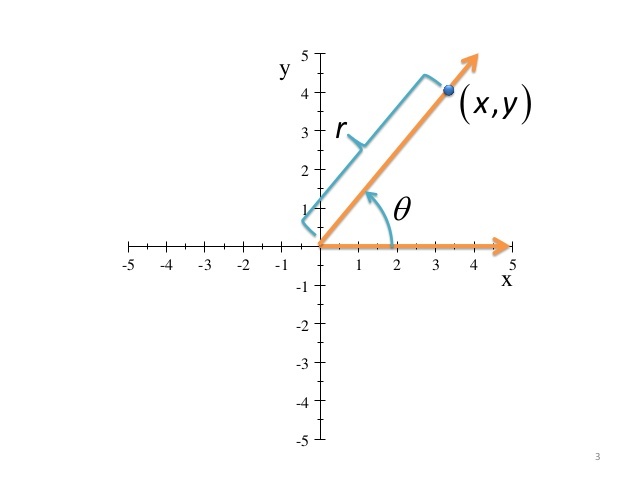 For our trigonometric purposes we will use the horizontal leg as x, the vertical leg as y, and the hypotenuse as r. This image shows how we could represent this triangle on the coordinate axis. The point (x, y) represents the two legs of our right triangle and these two legs create the angle θ. If you were to draw a perpendicular line from the point (x, y) to the x-axis you would have a right triangle. Our equation has changed just a little bit to Hang on – this is where stuff just gets super duper amazing! Let’s investigate the specific value of r = 1, this specific value will help some patterns be more visible. When comparing the side of the triangle with x, θ, and r the ratio created is the cosine – this shows what that looks like, remember we chose r = 1. Using the same steps again, this time comparing y, θ, and r we get a different ratio called the sine, don’t forget that we are choosing r = 1. Notice in both of these instances what is happening, we are reducing the ratio (r = 1) and have an equality for both the sine and the cosine. When you have equality, you can exchange the items that are equal. 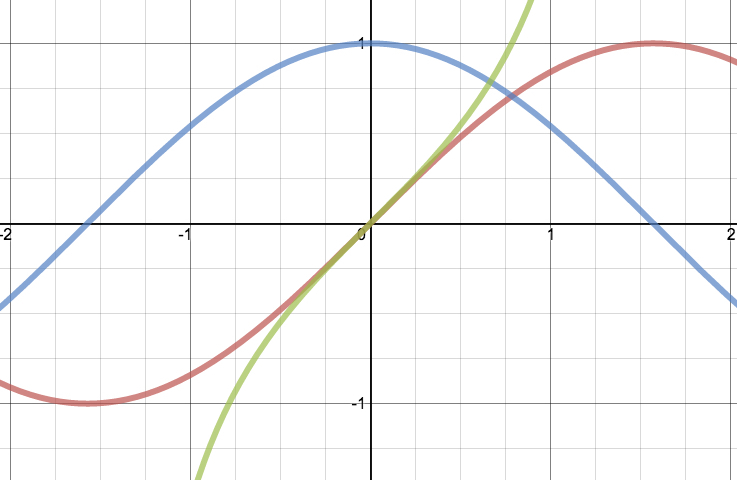 Using and replacing only those things that are equal (see cosine and sine equality statements above) – you have a new and very powerful trigonometric identity! This identity is the foundation for all other trigonometric identities! This identity can be used to make complicated problems simple! 2 Responses to "The Grandaddy of Trig Identities!" Finally, since we started with , we can just substitute in and end up with which we know is 1. This same derivation can be done with using and . On a side note, I also really enjoy that there is no need to remember the other Pythagorean identities as they can just be derived by dividing both sides by or . Isn’t it great??? Love this one!! Thanks for sharing more proof! !